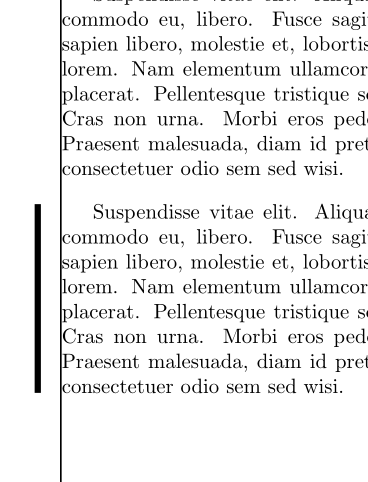 I'd like to use the leftbar command from the framed package to put a line next to some parts of text. The only problem I have with the command is that it indents the text in question, as illustrated below. 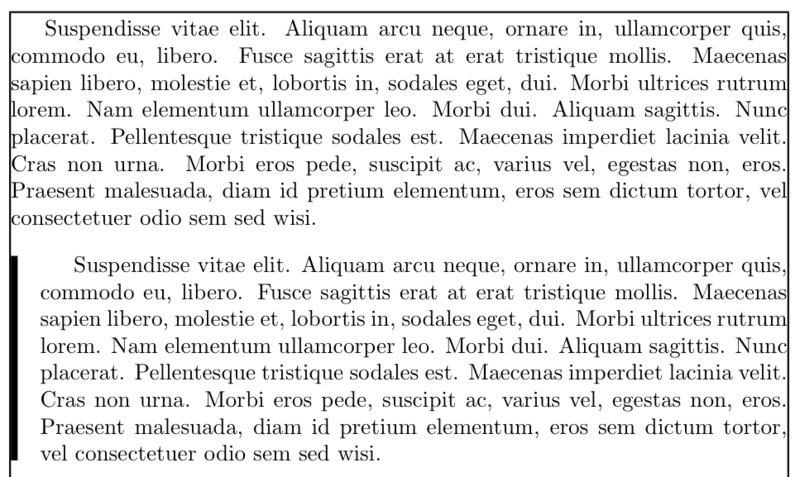 Is there a way to modify the command so that the text is still outlined as normal, and the bar instead appears somewhat to the left of the body of text? Using Leftbar in an algorithm table where am i going wrong? How to prevent “leftbar” from breaking “marinpar”?